Hundreds of thousands of video game enthusiasts from around the world are expected to tune in to a six-day marathon session of game playing beginning on December 27, 2018 to benefit the humanitarian aid organization Direct Relief. At Zeldathon, gamers at an undisclosed location in western Pennsylvania will play "The Legend of Zelda" game series non-stop from 4:00 p.m. Eastern Standard Time on Dec. 27 straight through to 10:00 a.m. on Jan. 2, a total of 136 hours. Zeldathon will broadcast live on Twitch (zeldathon.net/), where as many as 600,000 people per day have watched previous Zeldathon marathons. Zeldathon's organizers hope to raise as much as $200,000 for Direct Relief, Zeldathon Co-Founder Matthew "MC" Moffit said. 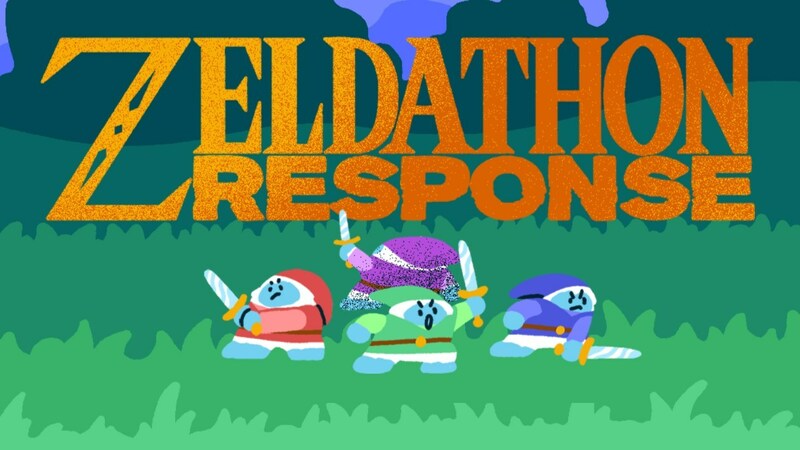 "In this Zeldathon, you'll see a lot more fun things happening on screen, making it exciting to watch at all hours," Moffit said Thursday as the final preparations were underway. "We want to put on a good show, have everyone enjoy themselves, find a good reason to donate, and maybe get a prize." Video gamers and live-streamers now comprise Direct Relief's largest supporter base. This year alone, Direct Relief has received more than 34,000 donations totaling $1.4 million through platforms that include Twitch, Tiltify and Humble Bundle. Since 2009, Zeldathon has raised more than $2 million for charities, including $600,000 for Direct Relief. Zeldathon is a gaming marathon occurring multiple times a year broadcast out of western Pennsylvania. Since the first Zeldathon in 2009, 100% of funds raised through these marathons have gone directly to highly accredited charities worldwide. To date, the team has raised over $2 million. Viewers can participate in Zeldathon at twitch.tv/supermcgamer or zeldathon.net. A humanitarian organization committed to improving the health and lives of people affected by poverty or emergencies, Direct Relief delivers lifesaving medical resources throughout the world to communities in need—without regard to politics, religion, or ability to pay. For more information, please visit DirectRelief.org.